Project scope of work includes new fuel storage and pumping facility including tanks, fuel piping, electrical power, EFSO, control and instrumentation. Operation building and infrastructure for future expansion. 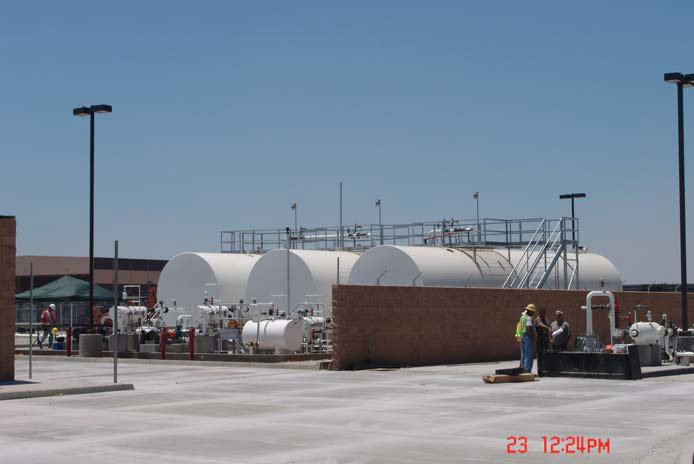 The fuel farm consists of three (3) 50,000 gallon above ground storage tanks, two (2) loading and two (2) off-loading positions, 4" pipe line supply line, site work, pavement, containment walls, fire protection and site utilities.